Have you ever had a business or vendor charge you for using a credit card or debit card to pay for a transaction? That’s the fee that they charge to use a debit or credit card instead of cash. Those are not only annoying, but depending on the size of the transaction, they can be very costly as well. If you live in TX or ten other states, then those credit card “convenience” fees are illegal. The TX Attorney General states that clearly on his website and the actual statute is codified in Texas Finance Code chapter 339.001. The TX code exempts governmental agencies from this rule. The TX statute also does not give the consumer a cause of action. According to the NCSL (National Conference of State Legislatures), the states of California, Colorado, Connecticut, Florida, Kansas, Maine, Massachusetts, Minnesota, New York and Oklahoma also have laws that prohibit these types of fees. 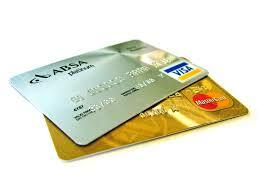 However, some states allow vendors to give discounts for the use of cash over cards. As noted above, in Texas, the statute does not give the consumer a cause of action. However, according to this article in the Dallas morning news, consumers can report credit card surcharge violators to: Office of Consumer Credit Commissioner, 2601 N. Lamar Blvd., Austin, TX 78705-4207. Phone: 1-800-538-1579. Web:occc.state.tx.us, and debit card surcharge violators to: Texas Department of Banking, Attn: Wendy Rodriquez, 2601 N. Lamar Blvd., Austin, TX 78705. Email: consumer.complaints@dob.texas.gov. Fax: 1-512-475-1313. I encourage you to report companies and stores who violate this statute, it is the only way we will end these unnecessary and illegal fees.